Bonn, Nov 16: The target of 100 per cent completion of installing bio-toilets in the Indian Raiways coaches has been advanced to December 2018, said an official here on Wednesday. 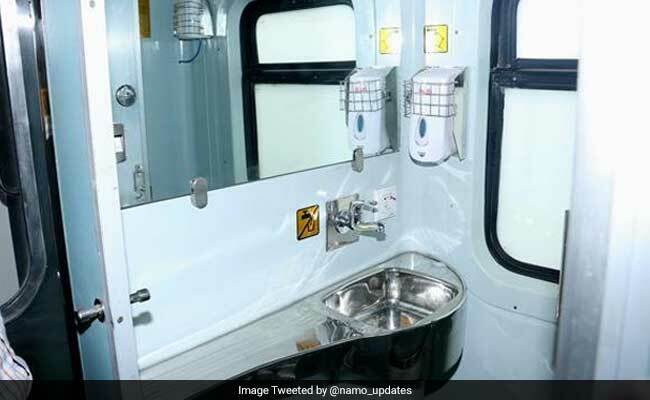 "Under the dynamic guidance of Minister of Railway Piyush Goyal, the target for 100 per cent completion of installing bio-toilets in coaches has been advanced to December 2018," said Ravindra Gupta, Member (Rolling Stock), Ministry of Railway. Gupta was speaking at a event organised here to highlight Railway Ministry's efforts towards a low-carbon pathway and overall sustainable mobility initiatives in the Indian transport sector. On the occasion, other senior officials also called for a need for increasing role of renewables in the railways to achieve net decarbonisation.